You are here: Home � All Deals , Featured , Media: Books Movies Magazines MP3s � Scenic National Park: Blu-Ray movies all on sale for $12.99-$13.99 per title. 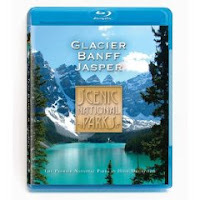 Scenic National Park: Blu-Ray movies all on sale for $12.99-$13.99 per title. Amazon.com is selling several scenic Blu-Ray movies for $12.99-$13.99. Just to be clear these are not the historical Ken Burns PBS movies he recently filmed. These focus more so on providing looks at fantastic scenery then tell the actual history of the national park movement like Ken Burns tried to do. Most of the Blu-ray's have around a 100 minute run time.